By Sofia AK in Mobile. Updated on November 13, 2017 . The advice to always backup, backup, backup maybe lost on some poor souls who prefer to learn it the hard way. But even then, backups can only work if you do it regularly. Ironically, it’s not something one can fall back on during an emergency, e.g. when you deleted an important message, a vacation photo or a contact profile with no way to retrieve that information. Well, here is a solution for you. 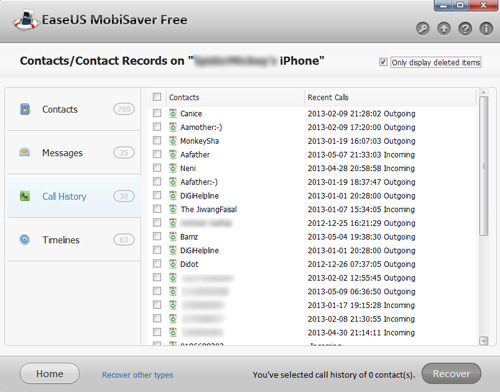 Mobisaver is a free Windows desktop tool to help you recover deleted data from your iPhone, iPad and iPod Touch. It works from iOS 4 onwards and can recover among others, contacts, messages, notes, videos, etc. Let’s take a look at how it works using the iPhone as an example. Click here to download MobiSaver. MobiSaver is free to use for personal usage and is activated with a key. Upon installation you will be directed to a website to obtain your activation key. Once the device is connected to the computer, MobiSaver will automatically start scanning your device for deleted data, either from the device itself or from previous iTunes backups. With the iTunes backup, you can pick a point of backup to recover data from. To help you narrow down your search for the deleted info you want, the items carry the date and time of when the deletion occurred. You can use this information to reduce the amount of data you need to sift through. There is also the option to display only deleted info. From the displayed items, just tick the item you want recovered, and the destination you want to recover it to, and click OK to confirm. 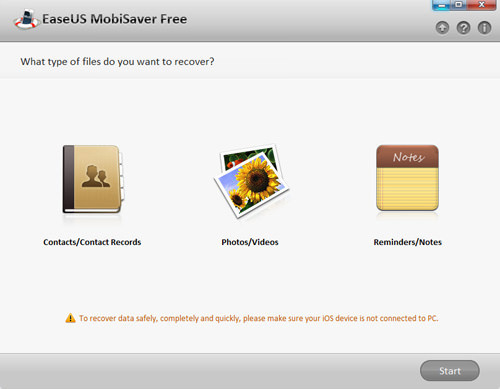 Note that MobiSaver can only help you recover deleted data back to your computer. It cannot recover the deleted data straight back into the iPhone. To restore them back into your iPhone, you can use iTunes or programs such as CopyTrans. We also found (during the testing period) that photo recovery was a little buggy. When we tried to recover deleted photos, it only displays the existing photos in our iPhone and not the ones that we have deleted (do let us know if this happens when you tried it as well). Aside from that, the app serves its purpose as a great tool to easily recover deleted data.